When I lived with my parents, Christmas was a great celebration of loneliness. While all my friends spent 3-5 days with food and gift excesses, I sat bored at home. If I had known Hannah Arendt’s “Jewish Writings” at the age of 13, I would at least have known an expression of my feelings: Outcast. While Arendt’s writings deal with the lack of a political identity for Jews, I simply did not want to feel so excluded. With time, my parents realized the problem and began to see Christmas as a means to an end. If we’re stuck at home anyway, we could spend time together. As a teenager I wasn’t exactly delighted to spend several days in a row with my parents twice a month. So there was no advantage to being Jewish here. As I grew older and began to have relationships, my being Jewish turned out to be a certain advantage. 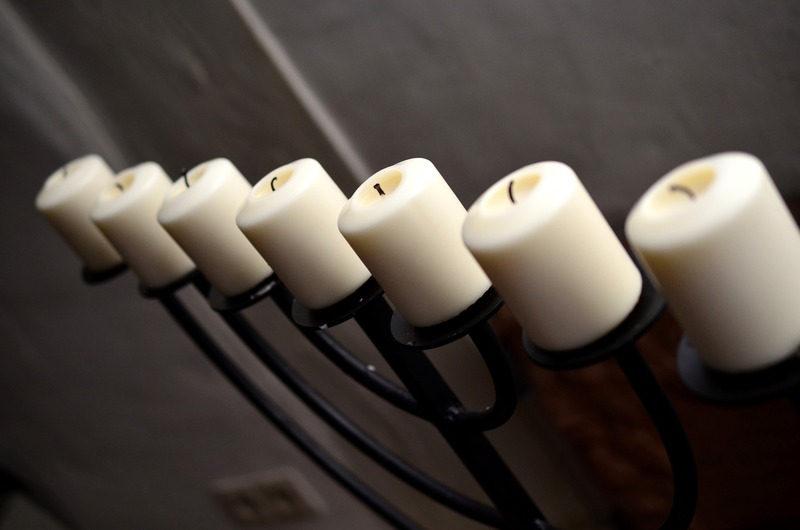 The date on which Hanukkah takes place each year is based on the Jewish calendar. This is again a lunar calendar, which is calculated according to the respective moon phases. In concrete terms, this means that the date on which Hanukkah takes place varies from year to year. This year, for example, it will take place from 25.12.16-01.01.17 and next year from 13.12.17-20.12.17. You can imagine what I’m getting at: Christmas and Hanukkah very rarely fall on the same day. So I rarely had the problem to decide where I wanted to go, with whom I wanted to celebrate and how the hell I could fit it all together. So at some point in my life there was a point when it started to feel good to be Jewish. It feels like something positive not to celebrate Christmas like everyone else around me. I no longer feel like an outcast, but rather like a complement. I complement my relationships quite well (maybe not necessarily this year, but again next year;)). So I can invite all my relationships with me to celebrate Hanukkah if I want to, and at Christmas I can only share my time between two families. I am aware that many people see Christmas as a great manifesto for a consumer society and that many people do not want to sit at the same table with their families. In fact, I have to say that I still like to spend a few days with the families of my relationships because I know that they mean a lot to each other and I appreciate being a part of them. Christmas and Hanukkah are, for me, despite all the criticism, now in some way positively occupied and at least no longer a celebration of loneliness. By the way, 1-2 days with my family are enough for me and I still don’t know if they really come to terms with the fact that I am coming to a Jewish holiday with my family with two relationships, both cis-woman. In a certain way it is even easier for me to go to the families of my partners, because there I “only” break the norm in a simple way, namely as a lesbian couple.